Lack of power-What Do you think is wrong with my car? 06 stick with 52K miles. Had it since 07 when it had 25K miles. Is not a daily driver. Got up this morning, decided to go to eat lunch. Taco Cabana. miles driven ...about 4 or so. go in, do my thing, come out and proceed to drive off. If I step on the gas while trying to start it, no go. Might as well replace the fuel filter while I am at it. Last edited by Myardor; 11-22-2013 at 07:46 PM. Cuz' that cuts the fuel, you'll never be able to start it with foot on gas. If you haven't change any ignition component since you bought the car, do it. Plugs, coils and wires. Average changing time is around 30k. Some people last longer, some don't. Fyi, the fuel filter need special tool to reach it.....wel, actually it's the "ring" that you need to remove before you can access to the fuel pump. Have you done compression test before purchasing the car? Last edited by ShinkaEvo; 10-29-2013 at 07:48 PM. Yeah. 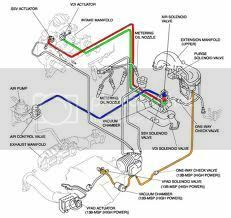 First place to start is the ignition system. Unlike a regular 4 stroke engine that fires once every other time around our cars ignition systems fire three times on every rotation. Regular 4 stroke 6000 rpm = 3000 times per minute ignition firing. Rotary at 9500 rpm = 28500 times per minute ignition firing. while the spark plugs do fire every time a combustion chamber comes around, instead of half the time a combustion chamber comes around like a lazy piston engine, the rotors are geared 3:1 so only one chamber per rotor fires per revolution. so the 2 rotor 13B has a combustion event every 180 degrees of crankshaft revolution, just like a 4 cylinder piston engine. Last edited by milano123; 01-31-2014 at 01:18 AM. it had been running fine till now. changed/replaced the spark plug wires and the coils. 1. if compression test is ok then what? 2. if compression test bad, what could be wrong? 3. what is the correct compression readings? 4. Which is rotary 1 and which is number 2? Front is i one? back is 2? 5. Which is L and which is T spark plug port?Top spark plug is leading or trailing? Last edited by Myardor; 11-22-2013 at 07:53 PM. make sure cat isn't clogged. if it smokes really bad, especially after car is completely warmed up, your engine might be shot. e. a few years ago. Already replaced coils,spark plugs and sp wires. if it is cool]ant, what could be causing that? Um... not true pretty much on any point. Faint black smoke is normal for a catless rotary. Blueish grey smoke is oil. Mixing stuff can mix smoke colors, and slowly cooking off gas or oil could also be white. If you have white smoke constantly after starting, then let it sit overnight, then crank the engine without starting (gas pedal to the floor while cranking), and then pull the plugs. If you have a coolant seal failure, there should be coolant on them. A coolant seal failure is game over for the engine. Is that cover by our 100K miles 8 year warranty? The warranty doesn't specify coverage dependant on the reason for failure, except if the failure is caused by something that warranty doesn't cover (like driving it through deep water, running it out of oil, etc...). Coolant seal failure is a validly covered failure. On my car i had to replace the Coil packs and it worked just fine after. Perhaps I'm being Capt. Obvious here, but what was the code for the CEL? Last edited by Black&Red; 01-05-2014 at 10:02 PM. Do you wash your RX-8, or take it to a car wash? Quick Reply: What Do you think is wrong with my car?